Latest Treatment Choices - Arlen D. Lackey, D.D.S. 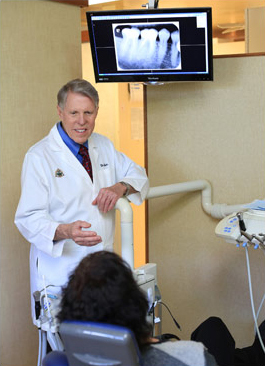 Dental lasers are changing treatment methods with more comfortable and precise dental care. There is more rapid healing with little post-treatment discomfort. 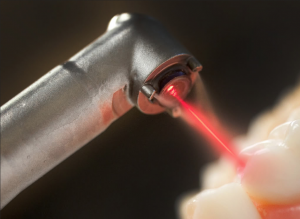 The laser light beam seals blood vessels and nerve endings allowing gum tissue treatment without bleeding and pain. Many laser treatments do not require use of a local anesthetic. This new, safer technology markedly reduces radiation exposure and is available to all our patients. This advanced system allows us to display your Digital X-Ray images almost instantly on a computer screen without the delay of film processing in a darkroom. This eliminates the need to use toxic chemicals which helps to protect the environment. Digital X-Rays use 80 to 90 percent less radiation than conventional x-rays. Thus the possible harm and hazard from dental x-rays has all but been eliminated. You See What We See. 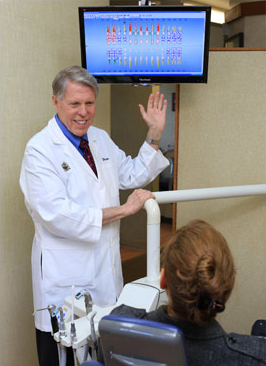 We use an advanced computer system integrated with digital intra-oral pictures and safer digital x-rays that allows you to view areas of concern. Seeing what we see enables you to make more informed decisions about your dental health choices.